Fr. Chris Pinné, law school chaplain, also serves as chaplain to Saint Louis University’s Department of Public Safety and Security. initiatives have had on the province as a whole and what factors help the province to respond and what hinders it. Fr. Douglas Marcouiller, Missouri’s provincial, described the recent province congregation as “prayerful, youthful, confident, participative, peaceful, and trusting. It was certainly a time of grace.” Cullen has begun visiting Jesuit communities in the province to widen the conversation that began in St. Louis. He will write a report for Father General summarizing what he has heard and carry his sense of the state of the Missouri Province to Nairobi. Dear Friends, It is in the spirit of holy boldness that we report to you today on our progress of reaching out for the magis (the more), to better serve our Lord and God’s people. The Missouri and New Orleans provinces will be merging, through God’s grace, over the years ahead. Together, we will form the USA – Central and Southern Province. Already we collaborate in some very significant ways. We share one novitiate in Grand Coteau, La., where 14 young men entered in August. Fr. John Armstrong directs formation and education for 70-plus men from both provinces. And, now, we bring together our magazines to introduce you to the many wonderful ministries and people of our provinces. The magazine you are holding represents much work of our staff members. It is our prayer that you will come to appreciate and enjoy reading about the wonderful ministries near the bayous of East Texas and Louisiana as well as incredible works from the Rockies to St. Louis. Douglas W. Marcouiller, SJ Mark A. Lewis, SJ Together, we have much more for which to give thanks Missouri Provincial New Orleans Provincial and praise to God who blesses us in abundance. We will be 13 states “Jesuits are never content with the status quo, the known, the tried, strong from Colorado to Southern the already existing. We are constantly driven to discover, redefine Illinois, New Mexico to Florida and even further south to Belize, for a and reach out for the magis . . . Indeed, ours is a holy boldness, total of 13 parishes, eight retreat ‘a certain apostolic aggressivity,’ typical of our way of proceeding.” and spirituality centers, 11 high – General Congregation 34, Decree 26, No. 27 schools, six universities, two Nativity schools, and other apostolates. Internationally, we serve the Church in Africa, Central and South America, China, Mexico, Russia, Sri Lanka, Rome and beyond. Our Ignatian heritage is our common bond and our love for the Lord Jesus is our shared passion. Our prayer is that you will get to know the new province through these pages. The history of our ministries is one of Jesuits and lay colleagues working side by side in our Gospel mission. As with a marriage, a parent does not lose a daughter but gains a son, so too with us, you will be gaining new Jesuit partners on our journey to bring the Good News to all who need it. Thank you for continuing to walk with the Jesuits. We know that as partners “we must,” as Fr. Adolfo Nicolás, our Superior General, encourages, “be humble enough to ask questions, listen carefully to feedback and admit our need to be taught.” As we go through this period of unification, we need your help, prayer and guidance. As we seek the magis, please continue to walk with us in prayer. By moving forward with you, we can better sustain our ministries in response to God’s call to serve the Church. Regis University in Denver will launch a new online Jesuit Higher Education Journal in 2012 that will advance the creation, collection and dissemination of works about teaching and learning in the Jesuit tradition. Regis will publish the biannual scholarly journal via an open access online system. The inaugural issue of Jesuit Higher Education: A Journal is scheduled for April. “Making the most of opportunities in digital publishing and communication, the journal will create a new world-wide community of scholars within the Jesuit tradition of higher education that explores, critiques, develops and advances this unique approach to education,” said Marie Friedemann, journal editor and associate dean of the university’s College for Professional Studies. Strake Jesuit Opens New Retreat and Leadership Center Strake Jesuit College Preparatory in Houston has completed work on its Retreat and Leadership Center just outside the city. Designed specifically for the school’s retreats, it boasts eight cabins, a bunkhouse, dining hall, conference center, library, chapel and a bell tower. School president, Fr. Daniel Lahart, calls the center a second campus for the 50-year-old school. It will help to accommodate activities for students, faculty, staff, alumni, parent groups and other members of the Strake Jesuit community. Not Your Normal Regency Mr. Jason Brauninger is serving as chaplain for the health care professions at Regis University in Denver, faculty member in the school of nursing and emergency room nurse at St. Anthony Hospital. He recently traveled with medical colleagues to Katmandu, Nepal. The Denver volunteers worked with Nepali doctors and nurses to care for more than 2,000 patients in five days. The group is headed next to Gros-Morne, Haiti, to plan for a possible partnership with a Catholic hospital. vincial of the Missouri Province in 1997. After six years in Jesuit governance, he was tapped by Saint Louis University for its operation in Madrid. that education is a service industry and that higher education should take the needs of adult learners seriously. He was featured in The Wall Street Journal as an education leader. Fr. Ralph Huse is the new superior of the Jesuit community at White House Retreat outside of St. Louis. He just finished six years as rector at Jesuit Hall on the Saint Louis University campus. Fr. Tom Cwik is the new pastor of Loyola Parish in Denver, replacing Fr. Eustace Sequeira. Cwik served at St. Francis Xavier Church in Kansas City before completing tertianship, his final stage of Jesuit formation. Fr. Ted Arroyo is the New Orleans Province’s new assistant for higher education, while continuing to serve as rector of the Spring Hill College community in Mobile. Fr. Mark Kramer is now teaching theology at Rockhurst University in Kansas City after finishing his doctorate in systematic theology at the Gregorian University in Rome. ecember 2006 to January 2007 was a crucial time for the 10 provinces of U.S. Jesuits, who held what are called province congregations to tackle questions about their future as well as elect delegates to the upcoming general congregation. Two years before, Father General Peter-Hans Kolvenbach strongly encouraged U.S. provincials to take a careful look at their mission and to reconsider how best to use their resources to serve the Church in today’s world. At these meetings, the provinces were taking a significant step in the process of heeding his call. In preparation, Jesuits considered two important documents that were the result of planning, research and analysis on the national and local level. One was a stillevolving version of a vision statement called “Responding to the Call of Christ,” a meditation and lens through which they would consider their ministries, apostolic partnerships, Jesuit life and governance. A combined Missouri-New Orleans province would be stronger and more vital and allow for cooperation, innovation, synergy and more efficient use of resources. the results of this decision the longest, followed a similar process. They met in small groups to discuss the pros and cons of each scenario. They prepared responses, expressed concerns and explored alternatives. Then they gathered as a whole to compare results. Each reconfiguration proposal had to be evaluated by such criteria as responsiveness to the Society’s mission, apostolic needs and commitments, and whether it would provide enough resources to carry them out. They also had to consider questions of leadership, governance, history, culture and relationships, as well as Jesuit formation, collaboration with partners and the needs of individuals. “At first, many of the men in our province were predisposed to an eventual merger that would include the Wisconsin Province,” McMahon said. At the time, Missouri had a shared novitiate with Wisconsin, and historically Wisconsin was part of the Missouri Province until it separated after World War II. But a possible merger with New Orleans had other advantages. Missouri and New Orleans each had a nearly equal number of Jesuits, a similar number of men in formation and the same number of successful high schools and retreat centers. Both served Hispanic communities. A combined Missouri-New Orleans province most felt, would be stronger and more vital and allow for cooperation, innovation, synergy and more efficient use of resources. In the end, a decision to join with the New Orleans Province emerged as the best option, a consensus reached both by men in formation and the congregation delegates. “Everyone had a good feeling about the outcome and that the process yielded similar results at both gatherings,” McMahon said. Fr. Gary Seibert prepares students in his public speaking class. n influx of students from China’s burgeoning middle class is meeting America with plenty of help and a welcome mat from Saint Louis University. The university has begun offering summer acculturation, free tutoring and writing services and one-on-one work pronouncing English tongue-twisters with Fr. Gary Seibert, who teaches a popular new communications course, “Public Speaking: Chinese Culture.” “I never had to be Matteo Ricci,” Seibert said of the 16th-century Italian Jesuit who helped establish the first Jesuit mission in China. “The Chinese have come to me.” China’s thriving economy has created so much new wealth that many middle-class families now can afford to send their children to American universities. In the 2011 fall term, 676 of SLU’s approximately 13,000 students—about five percent—came to the St. Louis campus from mainland China. That is more than twice as many students as those who come from 67 other countries combined, and the numbers are increasing. China sent nearly 128,000 students to U.S. universities in the 2009-10 academic year, said Tim Hercules, director of International Services and Student Educational Services at SLU. The number increased by 30,000 to nearly 158,000 Chinese students in the 2010-11 year. “They understand the value of receiving an education from a prestigious U.S. university,” he said. Hercules’ nine-person team helps international students ease into their new life on the St. Louis campus. “As someone who studied abroad, I have a good understanding of the needs of the students we serve,” Hercules said. “It’s essential that we help these students, who bring so much to our campus, adapt to the academic rigor of SLU and to the cultural differences that come with studying in the U.S. We want to show them everything the university has to offer, the beauty of SLU’s campus and the friendliness of our people.” Hercules and his staff connect Chinese and other international students to a host family program, a series of talks in a relaxed atmosphere, free tutoring and writing services, and a new summer acculturation program that gives them a four-week jumpstart on their college experience. An advisor to Hercules’ team, Fr. Don Highberger, leads a new program in which students serve the international students as peer mentors and ambassadors. “I try to establish a safe zone where they can work through their issues,” Highberger said. “In many cases, we are dealing with 19-year-olds. If they went through the traditional Chinese high school, they didn’t date, participate in lots of extracurricular activities or make many decisions for themselves. This is a maturation time in which they are dealing with lots of issues that are traditionally found in U.S. high schools.” Highberger returned to SLU last year after two years of teaching at a university in China while an associate professor at Denver’s Regis University. Highberger, who has more than 20 years of experience teaching collegelevel communication courses, taught English at Sun Yat-sen University (originally Guangdong University) in Guangzhou. Because many of SLU’s Chinese students major in business, Seibert has designed his “Public Speaking: Chinese Culture” course as a way for Chinese and American students to develop their speaking skills and learn about each other’s cultures. The course is offered in collaboration with the university’s John Cook School of Business. Chinese students,” he said. “If we acknowledge that they don’t use our standard linear type of logic system, we can work together to reach the same place.” Most students maintain very close ties with their families in China, who see them as their hope and future, Highberger said. They carry tremendous pressure to succeed. Many Chinese students have studied English for at least 12 years, yet have had little chance to speak it until now. “Chinese is a very structured language, and we have this crazy English language with rules that we break all the time,” Highberger said. The Chinese students also are not accustomed to ask questions as they are encouraged here. Their educational system is still largely based on memorization and rote learning. “Memorization is important, but what do you do with that information?” Highberger asked. “When I taught in China, my students were initially very uncomfortable with the dreaded question of, ‘Why?’ But our job as professors is to gradually bring that out of them and develop their critical thinking skills.” Highberger taught a class in China entitled, “Tainted Loans and Tainted Milk,” in the wake of the U.S. subprime mortgage crisis and the Chinese milk scandal in which melamine-tainted milk sickened thousands and resulted in some deaths. “We had some interesting discussions about what was going on in the two countries in terms of businesses attempting to make money without considering the impact on people,” Highberger said. Nearly 500 years after St. Francis Xavier set out to do missionary work in Asia, responding to China’s needs remains a high priority for the Society of Jesus. Seibert points to a simple expression by Ignatius Loyola about the Jesuit “way of proceeding.” “When I read that for the first time at age 19, I did not know what it meant,” said Seibert. “But after years of watching other Jesuits at work and reflecting on my own work, I do now. The way we have of proceeding is to look very hard at what is happening as we walk through this world, and then find ways to help. As with my Chinese students, our apostolates actually choose us—not the other way around. “In the beginning, Ignatius Loyola refused to open schools because he said our mission was to save souls. Eventually, he relented, and here we are today at SLU, trying to help.” John Gilmore is a freelance writer in St. Louis. Fr. Ted Arroyo speaks at the August 26, 2011 ecumenical immigration prayer gathering at Mobile’s Lyons Park. working in coalition with other groups will be [the] key to defeating future anti-immigrant legislation. Many Catholics will continue to draw their inspiration from the Church’s call to uphold and protect the dignity and worth of all persons.” Many states are introducing harsh anti-immigrant bills into their legislatures. Kammer, a native of New Orleans, lawyer, author and former longtime director of Catholic Charities USA, has worked with the Louisiana Conference of Catholic Bishops and other organizations during the last two legislative sessions to prepare and give testimony to the Louisiana legislature in opposition to “Arizona-style” bills, which would have given police officers the authority to question the immigration status of anyone they chose to stop. The bill died in Louisiana, although two bills have passed which require private businesses to “e-verify” the citizenship of employees, a process that compares an employee’s Employment Eligibility Verification form to data from U.S. Department of Homeland Security and Social Security Administration records to confirm employment eligibility. congregations, to use their power as shareholders to influence two private companies that operate detention centers. Through filing shareholder resolutions, speaking at annual Fr. Fred Kammer company meetings and holding dialogues with key management staff, JSRI and its partners are leaning on these companies to review their policies related to human rights, to assess areas where the companies need to adopt and implement additional policies and to report their findings to shareholders. The institute is also compiling reports of human rights violations, such as physical and sexual abuse of detainees, inhumane or degrading punishment, the denial of access to attorneys and the withholding of medical or mental health treatment in these private detention centers. These reports provide a starting point for effective dialogues with company managers. Outside of detention walls, JSRI has worked to increase public awareness about the detention system by leading the recent “Imprisoned, Forgotten, and Deported: A Conference on Immigration Detention, Advocacy, and the Faith Community,” at Loyola University New Orleans. With a grant from the Ford Foundation, the conference was the first of its kind in the United States. It explored how communities are ministering to detained immigrants and their families and how more just policies toward immigrants and detention can emerge. In late 2011, JSRI worked with volunteers and the Loyola University Law Clinic to prevent the deportation of several Haitian detainees who were being processed for removal at three remote detention centers in Louisiana. First removed by Immigration Control and Enforcement (ICE) from Florida, where most of the men had family and legal representation, these men were shocked that the U.S. had chosen to deport them back to Haiti at such a dangerous time in the country’s history. Despite a variety of efforts on the part of JSRI, including work with local, state and national coalitions and with Haitian service providers, letters written to the Obama administration and requests to the Louisiana congressional delegation, 136 Haitians have since been deported. One of the first deportees died from cholera-like symptoms 10 days after arriving in Haiti, and nearly 25 percent of those deported are suffering from psychological trauma. JSRI is working with organizations in Haiti to identify mental health resources for them. This work and the other efforts of institute staff are reported regularly in “Just South Quarterly” and the bi-monthly “Just South E-News.” And, Weishar, Kammer and Arroyo are Dr. Susan Weishar frequently interviewed by local and national media and make presentations to Catholic schools, legal seminars and conferences. One of the newest efforts spearheaded by JSRI is a series of quarterly “Catholic Dialogues on Immigration in Louisiana” to help build awareness and understanding of immigration in the U.S., especially unauthorized immigration, an issue that divides many Catholics. The first dialogue held in January 2012 drew 70 participants guided by two dozen trained facilitators. The mostly Catholic group was surprised to learn about Catholic social teaching that strongly supports the rights of migrants and the need to address the reasons for their flight. At the conclusion of the dialogue, more than three-fourths of the participants expressed a strong desire to become more involved in the Church’s work on immigration. One participant said that the dialogue was valuable because “immigration needs to have a human face,” and she “found the face of Jesus” in the migrants whose stories she heard. This is also true for the work of the institute which aims to give a human face to migrants. The ministry of the Jesuit Social Research Institute extends beyond each law and every detention center. At the center of the immigration issue is a real person — beyond a name on a form — someone struggling to feed a family, make a home, find work and engage in a community. Recognizing how exile and homelessness marked the life of Jesus as well, the work of the Jesuit Social Research Institute for migrants is done in the hope that those in exile in this day and age can find home and welcome — and justice. Mary Baudouin is the provincial’s assistant for social ministries and is on the institute’s staff. met a Lutheran pastor from Camden. The two became enthusiastic about the concept of using technology to engage youth. When Putthoff heard about a Milwaukee, Wis., organization that used Web design as a tool for youth development, he had a starting point. It was not very pretty at first. Putthoff confesses that he knew nothing about technology at the beginning, but he was undeterred. “One of the phrases that we have coined at Hopeworks is ‘Learning to Learn,’” Putthoff said, and he has lived it. A Jesuit novice helped Putthoff set up the first network. “We knew nothing,” Putthoff said. “We had a server and five computers, and we taught ourselves how to network. Fr. Jeff Putthoff works with Keenen, above, while Lewis, below, concentrates on his work. Orleans’ once thriving Central City neighborhood. With his army of volunteers and supporters, Tompson initiated an “apostolic enterprise” rooted in St. Paul’s directive to practice the “ministry of reconciliation” in our communities. training takes place in their neighborhood restaurant, which attracts weekday lunch crowds of more than 100 New Orleanians and out-of-town visitors. Each student is furnished with a uniform, bus tokens, two meals a day and a work stipend. During lunch service, each is mentored by restaurant staff at five restaurant workstations — steward, floor service or wait staff, pantry chef, sous chef and department chef. In addition to working “the front and back of the house,” students in the program utilize the 21st Century Success Principles curriculum to understand workplace culture. The program offers personalized case management services to help students overcome obstacles like unstable housing and unreliable transportation. Outside referrals enable students to pursue domestic violence counseling, address any substance abuse issues and obtain legal assistance. In 11 years, nearly 800 students have successfully completed the 12-week program and gained employment in New Orleans’ thriving hospitality sector. One of those graduates is Brandon. Growing up in what he calls a “typical New Orleans neighborhood,” rampant with drugs and violence, he never considered a career in the culinary arts. He was struggling to survive the streets, when a few days before his high school graduation his sister was shot and killed. A few months later, and about to become a father, Brandon enrolled at Café Reconcile after hearing about the program from a friend. He quickly mastered training and landed an internship at the popular Café Adelaide in the Loews Hotel. Two years later, he has been promoted twice and honored as “employee of the month” among a staff of 200 employees. Loews Hotel currently employs 16 Reconcile graduates, and its director of human resources, Ray Bruce, said the partnership with Café Reconcile was an important business decision. “I have made many calls in my professional career, but my call to Café Reconcile seeking to form a partnership was without a doubt the most important call I’ve ever made,” he said. “Café Reconcile is changing the culture of the Loews in a very positive way.” As a social enterprise, Café Reconcile generates about a third of its revenue through restaurant and catering sales, the rest through philanthropy and from grants obtained with the help of the New Orleans Province’s Grants Collaborative, which has helped the organization raise more than $5 million over the past six years. Coming out of its most successful year yet — with 98 students successfully completing program requirements — Café Reconcile is preparing to offer additional services to the Central City community. Ground has been broken for a state-of-the-art space for GED instruction, parenting classes, computer literacy training, financial workshops and several other skill-building programs. By working in close collaboration with other local organizations, Café Reconcile hopes to provide the youth and the neighborhood it serves with the tools needed to overcome obstacles, and with the support of the community, Café Reconcile can achieve Fr. Harry’s dream of bringing people together to achieve the Gospel mandate of service to others. David Emond is the director of development at Café Reconcile. Café Reconcile’s Dawanna takes an order. For more information on the café, visit www.reconcileneworleans.org. ne of the things that attracted me to the Society of Jesus was the Ignatian principle of finding God in all things. I saw Jesuits seeking and finding God in so many ways, from ministering in the Third World, to delving into questions of philosophy and theology to exploring the grandeur of the universe. As someone with a background in physics and astronomy, I am no stranger to the idea that by studying Godâ&#x20AC;&#x2122;s creation we encounter God. As a 38-year-old, firstyear theology student at Boston College and a recent graduate of a physics doctoral program, I can see in hindsight a pattern of formation as a Jesuit brother that has only strengthened this idea. After I completed philosophy studies in 2006, I began teaching physics and astronomy at Rockhurst University in Kansas City, a wonderful opportunity to teach in my field and minister to students. Introductory astronomy courses are particularly well-suited to this task because they provide a context for inspiring wonder at the universe and exploring the relationship between faith and science. Undergraduates come with so many questions, and they respond very well to encouragement to explore those questions. famously wrote to government authorities shortly before he was captured, “And touching our Society, be it known to you that we have made a league — all the Jesuits in the world — cheerfully to carry the cross you shall lay upon us and never to despair your recovery.” Given what I owe to Edmund Campion — both because of his example and his prayers — it was a real grace to be sent to Campion Hall, the Jesuit academic community at Oxford, for my first mission as a Jesuit scholastic. The provincial asked me to finish the doctorate in international law that I had left unfinished once I discerned my vocation. So, I was back in the place where I had originally heard the Lord’s call. This time around, though, I found myself in a whole new role — as a partner in the Society’s mission to the university. The primary focus of my apostolic work was a vocations group for eight young men discerning the priesthood and religious life. But, I also helped Fr. Nick and a Benedictine scripture scholar lead a group of undergraduate students — consisting mostly of non-believers — on a study-tour of the Holy Land. In both contexts, I found myself looking to Ignatius for guidance. As a student in several Spanish universities and finally at the University of Paris, Ignatius developed a way of proceeding that remains definitive for his followers to this day — engaging in spiritual conversation. As he spoke with fellow students, he looked for where the Lord was already at work in them, and where he could help them encounter God. The experience of trying to do the same at Oxford taught me an important lesson: at a time in Europe’s history when many people have lost all contact with the faith, personal conversations are one of the principal frontiers of the new evangelization. esuit Fr. Harold Rahm learned long ago the value of staying close to the people. In El Paso, his first assignment in his native Texas, Rahm celebrated Mass in people’s backyards. He prayed the rosary on street corners and offered bread lines. He got his foot in the door of residents’ homes by asking to use the phone. He rode a bicycle to talk and play with street kids in his battle to eliminate youth gangs. Over the last nearly 50 years, he used similar techniques to reach out to the abandoned, the poor, the addicted and the desperate of Brazil, where he remains today. Rahm, now 93, spends his days directing “Christian Yoga” retreats aimed at helping people use their senses and meditation to form a union with God. “I endeavor to do my little part to serve the poor and those especially in need, both financially and spiritually,” he said. Rahm had an interesting start to his formation as a Jesuit. Before entering the Society of Jesus in 1937, Rahm was a National Guardsman studying to become a doctor like his father. r. Jack Stochl found his heart’s home when he first went as a Jesuit scholastic in 1948 to Belize, where he remains today at age 87. The government of that Central American nation recognized his commitment last fall when it presented him with the Meritorious Service Award for his 64 years of helping the people of Belize by teaching English and, more recently, caring for prisoners. This disciplined man followed the same daily routine for years, rising at 4 a.m. to exercise, pray and teach English each morning at St. John’s College in Belize City. He ran the Extension School in the late afternoon and evening, returning home in time for bed at 9:30 p.m. Stochl founded the Extension School in 1957 in the heart of Belize City. The school’s academic offerings were limited but effective, and were aimed at helping students earn a grade school diploma or “leaving permit” that would qualify them for a government job. He had great organizational skills and was ready to take charge of things. Fr. Jim Short, who now lives at Bellarmine House in St. Louis, worked with Stochl for years, including time together at St. Martin de Porres Parish in Belize City. “Jack had a good touch with people and chose good teachers,” he said. “He had goals and knew what he wanted to achieve.” That keen sense of focus was evident in his various roles over many years in the Jesuits’ mission in Belize. He was first and foremost a dedicated and demanding teacher of the English language, constantly pushing his students to master English. He served as headmaster of the secondary education division of St. John’s College from 1965 to 1969 and from 1987 to 1992; he was the mission superior from 1977 to 1983. The Meritorious Service Award noted his radio work as well, saying that “his voice may be familiar to some early risers because for the past 34 years, going back to the days of Radio Belize, he has delivered a brief Morning Devotion talk each week.” He took up residence at St. Martin’s parish in 1987 and served as its pastor from 1995 until 2004. “He turned out to be an excellent pastor,” Short said, someone who continued the good relationships with people in the parish that his predecessors had begun. pursuit of science. Fr. Cyril Opeil has provided space in his lab at Boston College where I can construct some new research instruments. Furthermore, by helping out with campus ministry at my alma mater, the Massachusetts Institute of Technology, I can continue to have good conversations about faith and science with its many students of science and engineering. In my spare time, I research properties of lunar materials, which led to a visit over Christmas break to study Apollo moon rocks at NASA’s Johnson Space Center in Houston. But most importantly, I am discovering that theology studies themselves provide tools for integrating these pursuits with the many other ways in which we are called to find God in all things. which now has 10,000 volunteers who serve 200,000 people each month throughout Latin America. He said he also was given the use of Vila Brandina, a ranch the length of 32 city blocks. He and a team of Brazilians founded the now-national Christian Leadership Training Movement for high school and college students. Later, they initiated the Catholic Charismatic Renewal which now includes millions of Brazilians. Denver Jubilees Family and friends gathered at the St. John Francis Regis Chapel at Regis University on Oct. 30, 2011, to celebrate the many years of service of three Denver-area Jesuits who have reached important milestones in their ministry to the people of God. Fr. James B. Guyer celebrated 50 years in the Society of Jesus; he is a historian and long-time faculty member at Regis University. Fr. John J. Waters has been a Jesuit for 60 years, with most of his service in pastoral work. Waters worked in Honduras and Belize, was pastor in Denver and Pueblo, and served on the provincialâ&#x20AC;&#x2122;s staff. Fr. Robert R. DeRouen reached the remarkable milestone of 70 years in the Society. He taught until the 1980s in all of the province high schools, and then focused on retreats and spiritual ministries. Fr. Robert DeRouen (above) greeted friends after the liturgy. Fr. James Guyer (below) spoke with Thom Digman, the provinceâ&#x20AC;&#x2122;s advancement director, before the liturgy. www.jesuitsmissouri.org/support We will send you our FREE guide, â&#x20AC;&#x153;One Thing You Can Always Count On.â&#x20AC;? or years they taught classes, preached sermons, administered the sacraments. Now their mission is praying for the Church. 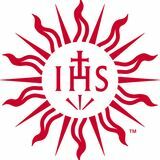 When it comes to supporting their mission and sustaining the long-term future of the Jesuits, many donors favor a Jesuit gift annuity. When you set up a Jesuit gift annuity, you will receive lifetime payments that remain constant even with a fluctuating stock market. This offers you the opportunity to supplement your retirement income and continue to make a difference by supporting the mission and ministries of the Jesuits. How it Works A Jesuit gift annuity is a simple contract between you and the Jesuits. You make a donation using cash or marketable securities; we, in turn, pay you a fixed amount for life. With this type of gift, you can feel secure knowing that you can count on receiving stable payments for as long as you live. Your age when the payments begin and the amount of your donation determine the size of your payment. The older you are, the higher the fixed rate (see chart). You receive payments for life; and, if you choose, for the life of another person. After that, the remaining funds are used to support our mission and ministries. 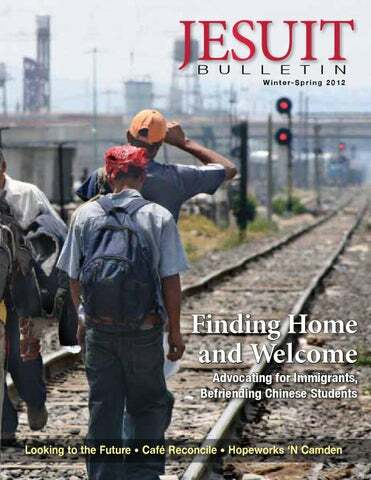 The Jesuit Bulletin features stories on Jesuits working with immigrants and advocating for a faithful and just treatment for them.